Jesus resurrected in a spiritual body that was His physical body; He was not a spirit Accounts of Jesus after His resurrection include: And they came and took hold of his feet and worshiped Him, Matthew 28:9; Jesus walks and breaks bread with two disciples on the road to Emmaus in Luke 24:13-31; Jesus shows His hands and feet to the disciples, saying, "See My hands and My feet, that it is I Myself; touch Me and see, for a spirit does not have flesh and bones as you see that I have," Luke 24: 39-40, and He eats broiled fish before them in verses 42 and 43; in John 20:17, Mary clings to the risen Jesus outside the tomb; and Jesus cooks breakfast for the disciples by the sea in John 21:12, 13. Our bodies are not just temporary shells, but were created for us by God as part of who we are. If Reiki is channeling God's healing energy, or imitates Jesus, then let us compare the purpose of Reiki in light of how Jesus healed. Jesus not only healed incurable cases, such as blindness from birth, but His healings revealed He was the Messiah, brought people to faith in Him as the Savior, and glorified God. His healing was also part of saving people from sin. Is this what Reiki is doing? In fact, it is not. 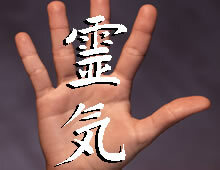 Reiki is based on principles of secret teachings, and on a belief in the accessing and channeling of a force. These principles are occultic and not Biblical. Reiki springs from belief systems that deny sin, deny the need for a Savior, and deny the Bible as God's word. Reiki not only denies what Christ taught, but if it has any power, it is not demonstrating the complete healing and saving power Christ demonstrated, and therefore cannot be how Christ healed. Jesus the Messiah, however, spoke of sin and sickness together, and of man's need for Him: "It is not those who are healthy who need a physician, but those who are sick. But go and learn what this means, 'I desire compassion and not sacrifice,' for I did not come to call the righteous, but sinners," (Matthew 9:12, 13). Jesus practiced healing and saving from sin together. Even if Reiki were to truly heal physically or emotionally, it would not heal on the spiritual level. True healing in the most holistic sense of the word acknowledges the need for spiritual healing through deliverance from sin. This healing comes only by recognizing Jesus as the Son of God who offers forgiveness of sins and reconciliation with God (Mark 2:10; Luke 1:77; John 9:35-38, 11:25, 26, 14:6; Acts 4:12; 2 Corinthians 5:18, 19) through the pouring out of His blood on the cross (...for this is My blood of the covenant, which is poured out for many for forgiveness of sins," Matthew 26:28). Jesus said to her, "I am the resurrection and the life. Those who believe in me, even though they die like everyone else, will live again. They are given eternal life for believing in me and will never perish," (John 11:25, 26).